Ayrshire & Arran tourism, all rights reserved. Maybole is a town whose lengthy history is evident from the many fine buildings on view. High Street is especially striking, running from the imposing town hall, built in 1887, to the equally impressive and much more unexpected Maybole Castle, believed to be the town's oldest inhabited house. 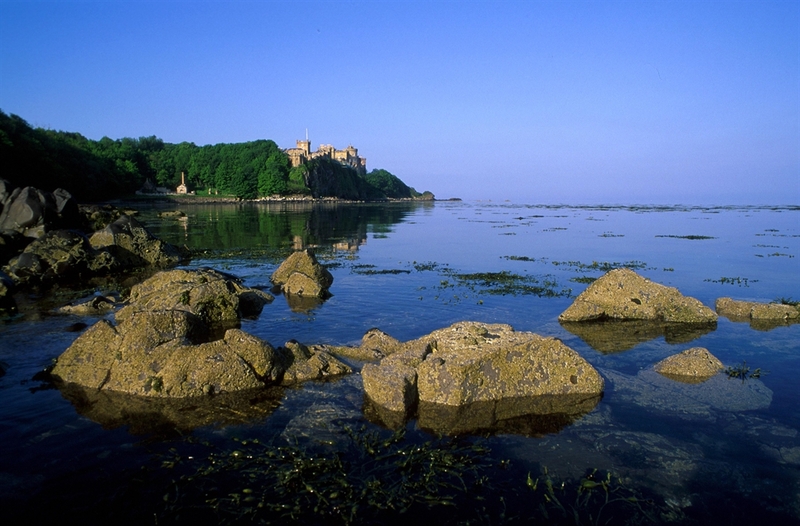 This castle dates back to around 1560 and in many ways typifies the growth of Maybole. In 1686 it was recorded that the town was home to the town houses of no fewer than 28 lords and landowners with estates in Carrick and beyond. Many of Maybole's collection of remarkable buildings are found along Cassillis Street, a little north east from the town centre. This is dominated by the Parish Church built in 1808 in striking orange stone, but what really sets the church apart is its very odd square spire comprising six steps and looking as if it would feel entirely at home as part of an Aztec temple. 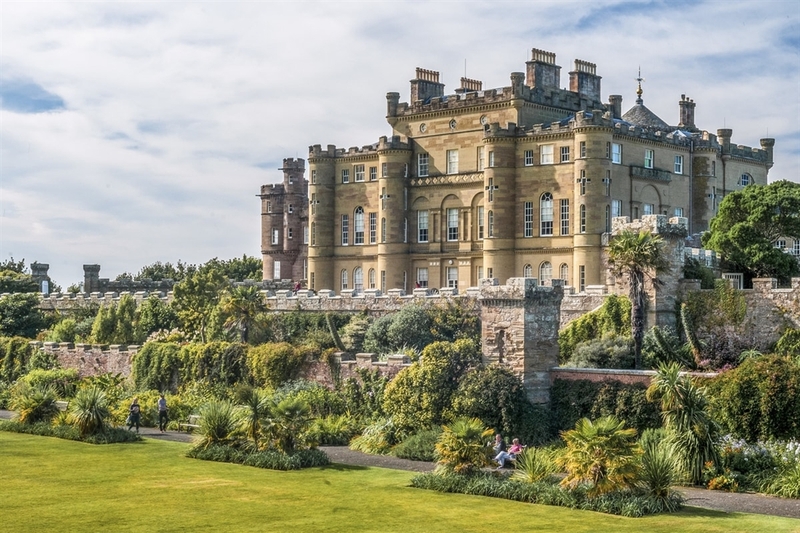 Most impressive of them all is Culzean Castle, accessible from a clifftop walk in Culzean Country Park, to the west of Maybole. Robert Burns' father and mother met for the first time in Maybole. A white bust of Robert Burns marks the location. Maybole is also home to a picturesque 9-hole golf course and a 25m swimming pool. Shops cater for all your holiday requirements and there are several places to enjoy a meal or takeaway.